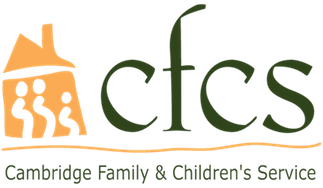 CFCS offers two group homes and an Independent Living (IL) program to transition youth ages 16-21 years, all of whom are referred by the Department of Children and Families (DCF) or the Department of Mental Health (DMH). Each youth transitioning from the residential setting will have the opportunity to receive Stepping Out or Follow Along Services, with DCF or DMH approval. All residential programs are fully staffed by trained direct-care providers who offer counseling and support for the teens, while teaching pre-independent living and independent living skills. Through weekly group skill-building sessions, young people increase their self-reliance, develop greater self-esteem, and ultimately become better prepared for success with school, work, and relationships. Families will be supported and encouraged to participate in program activities and life events of their child. Group Homes at CFCS are for older adolescents and young adults (16-21 years old) needing a focus on the development of life skills including household and money management, conflict resolution, personal health care, emotional coping skills, relationship building and the use of community services. Teens Learning Choices (TLC) in Malden can serve up to eight young women and Putnam Place in Dorchester can serve up to eight young men. Independent Living (IL) at CFCS is a scatter site apartment model to provide the youth with easy access to their support network, already in place. The IL program serves young adults ages 18-21, with more advanced life skills, but still in need of case management, as well as social and emotional support. Stepping Out Services are provided for youth transitioning into independent living after residing in a CFCS group home. Stepping Out provides a familiar support staff from their residential setting to assist the youth in navigating the many obstacles as they become self-reliant (college enrollment, taxes, relationship boundaries, money management, etc.). During their time with Stepping Out, the youth will have continued access to services (groups, recreation, etc,) from their previous residential setting. Follow Along Services offer supportive staff, consisting of a clinician and a Direct Care Counselor, to prepare and follow the youth into another home environment. This service provides intensive home-based family interventions and supports to both youth and families. To ensure continuity of care, the support staff will be integrated into the residential setting during preparation . There is opportunity for the youth to be involved in selected groups, recreational activities, and even potential respite use when needed during Follow Along Services.